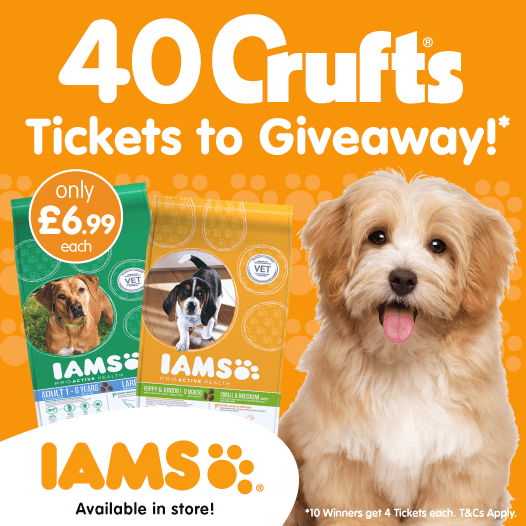 B&M Lifestyle | B&M's BIG GIVEAWAY - 40 CRUFTS Tickets to Giveaway, Courtesy of IAMS! We're giving away a chance for TEN lucky winners to each WIN FOUR tickets to CRUFTS, courtesy of IAMS! The winner will be selected at random and you have until 09:00 18th February 2019 to enter.